Can one week really change the course of your life? That’s the question Daniel Ortiz was asking when he heard about a short-term missions opportunity through Go Now Missions. 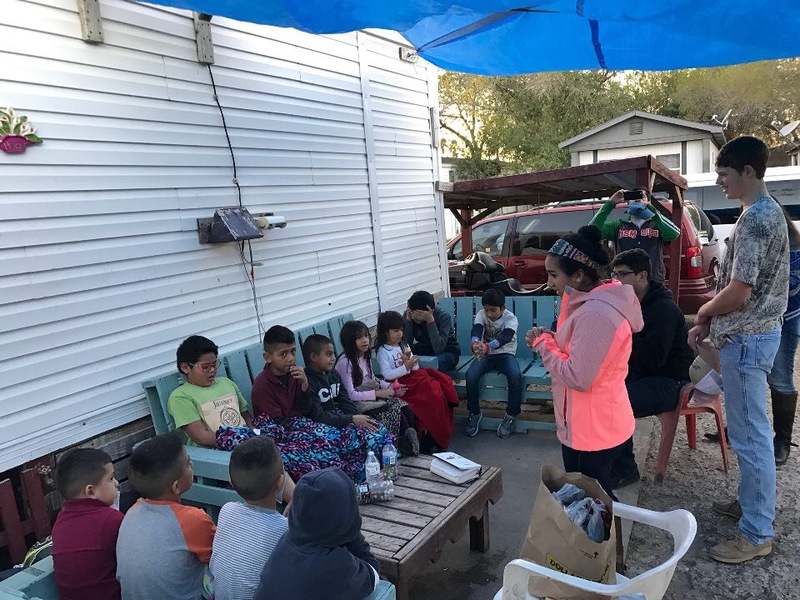 Ortiz, a sophomore nursing student at University of Texas Rio Grande Valley (UTRGV), had been interested in serving through missions, but was unsure about heading overseas at this time in his life. When he learned of an opportunity to serve in Brownsville, Texas for a week during the Christmas break, Ortiz was excited—and curious. With the expectation that God would change those he was serving more than He would change himself, Ortiz prayerfully applied for the trip, and was accepted. Ortiz and the 12 other members of his team served Primera Iglesia Bautista Mexicana and Iglesia Bautista el Buen Pastor through cleaning projects, packing and delivering food boxes to needy families, handing out flyers for church activities, and hosting Vacation Bible School for the local children. Each afternoon, the team was divided into two groups—one led Vacation Bible School at the church building, while the other led it in a local park. “The highlight of this trip for me was sharing the Gospel with two girls, and them receiving Christ,” Garcia shares. Ortiz—who lead an 11-year-old boy to the Lord—holds a similar excitement, sharing that almost daily someone reported another person had placed his or her faith Christ. Seeing the body of Christ in action, and witnessing firsthand how God used each individual’s gifts and talents to spread the Gospel, had a profound impact on both Garcia and Ortiz. “God taught me it is not my job to change people, it’s His,” Garcia explains. “I am simply an instrument that He uses to share the Good News.” She wants everyone to know God can—and does—use every person who is willing, no matter their weaknesses. Go Now Missions mobilizes Texas university students to share the love of Christ across the world. A ministry of Texas Baptists, Go Now Missions offers a variety of service options ranging from as short as ten days, to a few weeks in the summer, or even a full semester. Students who are active in both their local church and campus Baptist Student Ministries have the opportunity to serve. Go Now has wide range of positions and locations available. Learn more about Go Now Missions and view service opportunities at gonowmissions.com. Jennifer Deibel is a contributing writer for Texas Baptists Life magazine.